OLD PARKED CARS. 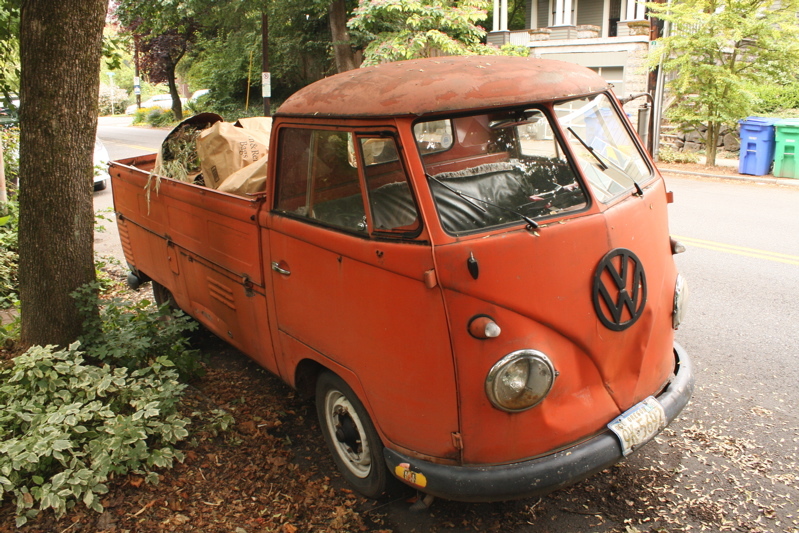 : 1960 Volkswagen Single-Cab. You guys are at it again as usual. Blowing my mind with these gems. It's unbelievable that this truck still exists considering the way it's been used. Yes! Still being used as a truck. Workhorse! 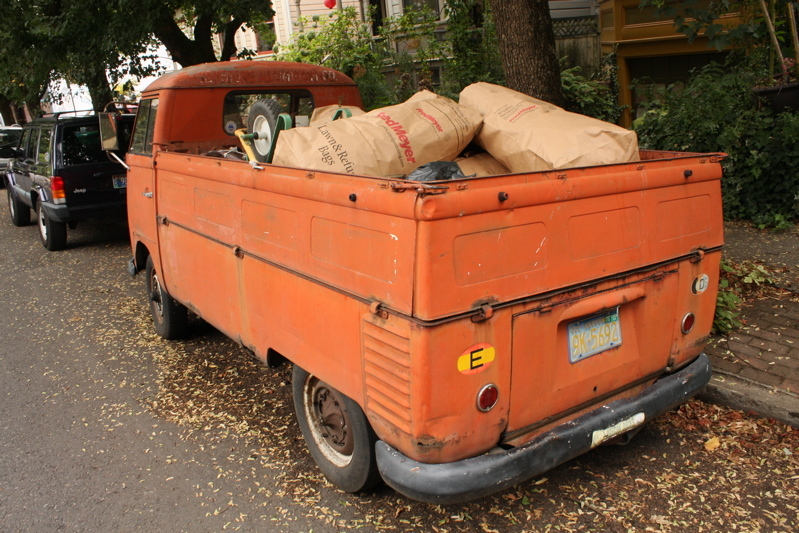 Love the rust and orange with that patina, dig the wheelbarrow in the bed as well. An "E" sticker on the back ! That's E for Spain in spanish. How the hell did it come ? Sorry, it doesn't even move 60mph. As an owner of a -61 Panel Van the top speed is about 55mph. After a very long acceleration. These are designed for delivery in town so the 3 first gears are short and it has some acceleration (empty) up to 40mph when third gear ends, from that to 45 goes relatively fast but from there to top speed takes forever as there's not power: -60 model has only 28hp. Driving 160 miles to a meeting on a highway isn't so fun but it's fun to be there. 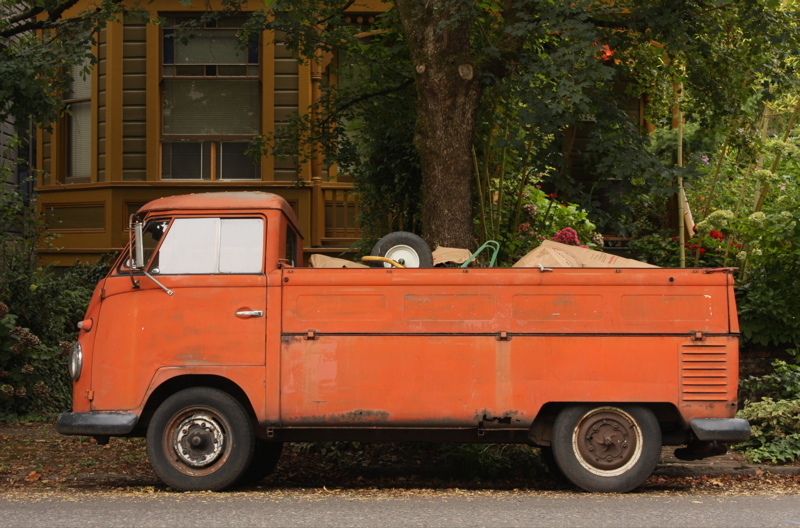 Mine is used as daily driver in summer (as a van too) and I love the fact that this one is also in actual used, not just a trailer queen somewhere. One note: -60 model had these small front blinkers only in the US: European version got those to 1961 model year, having semaphores earlier. great looking truck. i wish that we had the opportunity to see some of these entries when they were sparkling-new so we had a basis of comparison. not that the earned patina isn't beautiful, but it would be great to see how they acquired it over the decades. Totally awesome truck. 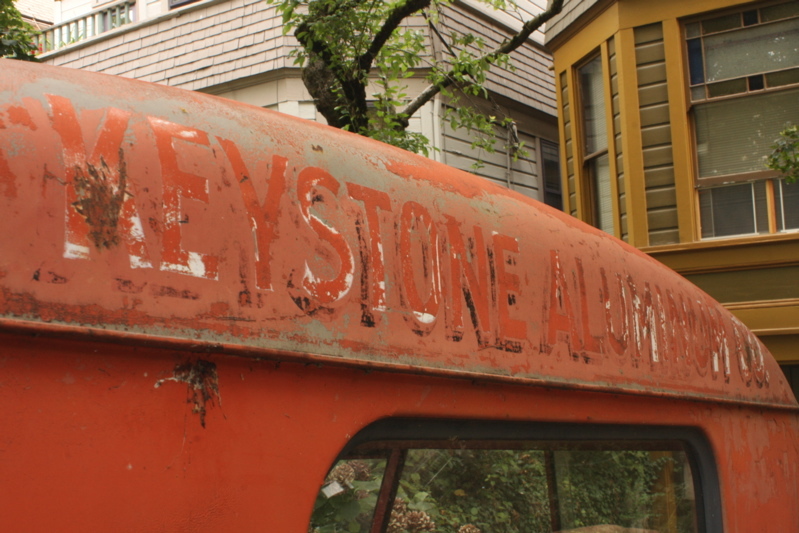 VW buses are super-cool, and the truck versions are pretty rare. It is a shame you guys do not document as many VW buses. You see them in the background of many posts.